It's a memorable night for vocal group Pentatonix. The acapella quintet won their first Grammy tonight at the 2015 Grammy Awards. The category they won for was Best Arrangement, Instrumental or A Cappella for "Daft Punk," a medley of their songs off their PTX, Vol. II recording. The band spoke about how surreal it was for them to accept an award for the song. "This is the most exciting thing that's ever happened to us," member Scott Hoying said in his acceptance speech. The group’s video for the 7-song medley has received more than 105 million views on YouTube. "We recorded this in the back of a closet and now we are Grammy winners," the band said. "This just proves that anything is possible." The group’s latest album, That’s Christmas To Me, was one of the best-selling holiday albums this season. “Dance of The Sugar Plum Fairy,” “White Winter Hymnal,” “Winter Wonderland / Don’t Worry Be Happy,” and “Silent Night” are some of their songs on the record. Also, all four of their albums were on the Billboard Top 200 Chart at the same time, That’s Christmas To Me, PTXmas, PTX Vol. III and PTX Vol. I. 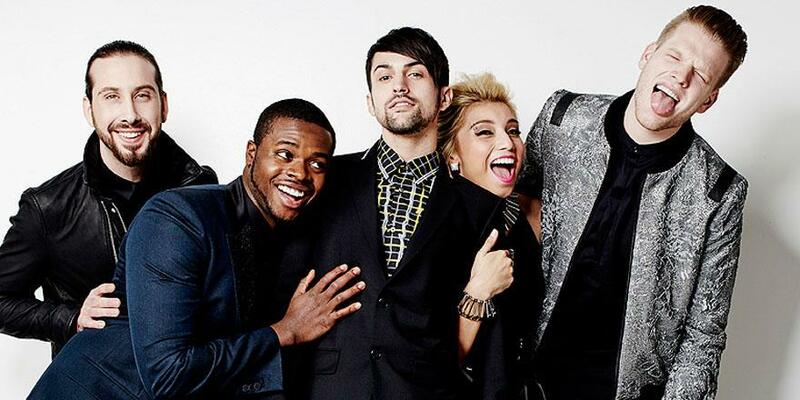 The quintet group which consists of members Avi Kaplan, Mitch Grassi, Scott Hoying, Kirstie Maldonado, and Kevin Olusola, first came onto the music scene as winners of the third season of “The Sing-Off” on NBC. The group members met for the first time just a few days before auditioning for the show. Last year’s highlights for the group include performances at the Hollywood Christmas Parade and a cross-country tour.